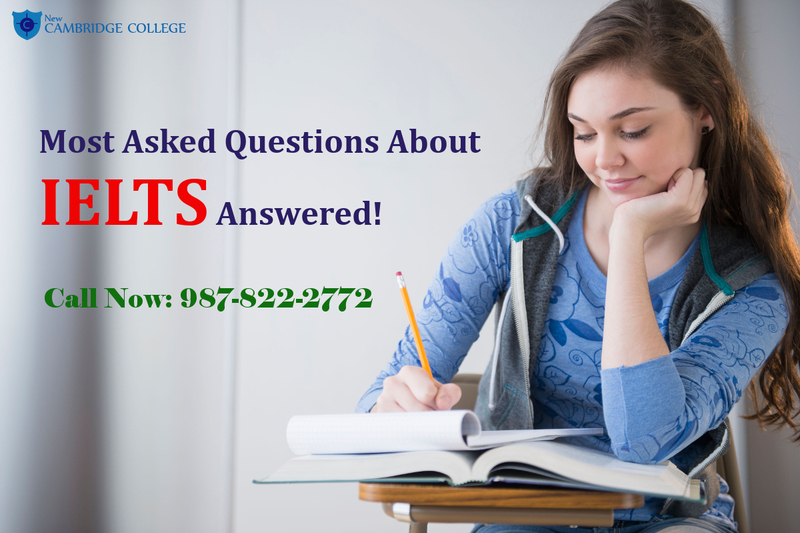 Most Asked Questions About IELTS Answered! While preparation and prior researching there are umpteen questions that cross an aspirant’s mind. Some questions are difficult to ask for the fear of embarrassment and the answers of other questions aren’t provided satisfactorily. It is difficult to find a separate, single window that answers all your queries under one roof. Therefore We have prepared a list of questions with their answers to help you in your journey. If you are an IELTS aspirant, read on and clear your doubts. 1. My English should be at which level for IELTS? While anyone can take the IELTS test for it provides a score of people from the range of ‘Beginner’ to ‘advanced’ the test is set at the level of an intermediate and above. Hence it is very important to hone your English Language skills if you want to achieve a high band score. Good Vocabulary is needed to comprehend the words in the Listening section. You need good analytical abilities, fast reading speed and fine comprehension skills to excel in the reading section. Proficient English language skills are needed to achieve good scores in Writing section as well, for even most of the people who face no problem in other sections get stuck in this one. It is important to have a strong command of the language and use of a good expression, being compact and exercising the art of Lucidity. For people aged below 16 years, the test of IELTS is not suggested but they may take the test if they want to. 2. IELTS test is conducted in how many times a month and in which locations? IELTS is conducted various times in a month in 42 locations in India. There are 48 dates fixed which mean 4 times in a month based on the local demand. 3. How would I get my score, in a form of certificate or any letter? A test report form is given to the test-taker from the center where he/she sat for the test. This test report form contains the score from each section of the test and the overall band score as well. 4. For how long are the scores of the test valid? The scores of IELTS are valid for a period of two years. There is no standard score to get admitted into a University. While some Universities accept students with a band score of 5, some universities set a score of 6.5. The department or the discipline in which you are applying determines the score as well. For eg. Any language course would want you to achieve a higher score. It is advisable that one should contact the University in which they want to apply, ask their requirements and prepare accordingly. 6. Would all the parts of the test be conducted on the same day? The three sections namely: Listening, writing and reading are conducted on the same day. The speaking section might be conducted on the same day after a break or within a week before or after the other sections. 7. Should I consider the help of an IELTS coaching institute for the test? While it is not mandatory to enroll, but IELTS coaching Institutes help you to decrease the chances of errors and maximize your chances of achieving higher band score by sharpening your skills.By interacting with other aspirants you’ll learn new things and strategies to perform well. For achieving the best IELTS test results you must enroll in the best IELTS coaching institute in Chandigarh. The best IELTS coaching Institute in Chandigarh recognizes the capability of each student and translates those skills for their own benefits and for experiences in the real life world. © 2015 New Cambridge College. All Rights Reserved.